The easiest way to run your Bracket Pool for the NCAA Tournament! 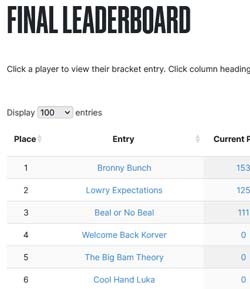 Simplify your life this year by letting RunYourPool.com manage your March Madness Bracket Pool for you. 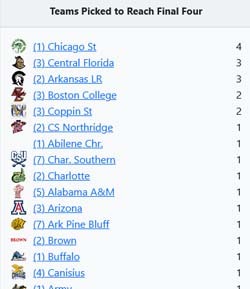 We take care of accumulating your members' picks for the field of 64 teams, updating the games, calculating the results, and generating easy-to-understand reports for your members. Make 2019 the year you take your NCAA Bracket Pool to the next level! In less than 5 minutes, you provide us with all the information we need to run your pool for you. Supply us with your contact information, a pool password, and your customized pool settings. After setting up your pool, you will receive a confirmation e-mail from runyourpool.com. This email contains a pre-formatted section that you can simply forward to the people that you'd like to join your pool. It contains a link and all the information they need to join. Step 4 - Enjoy the Tournament! We take over from there. Your pool standings and all other reports are updated in near real-time as games conclude. Frequently, pool administrators want the ability to put members into different groupings or divisions. In an office pool, for example, it might be fun to have a contest between departments. Simply assign members to the correct departement (or whatever grouping works for your pool) and we'll track the statistics and standings of each individual group so you can compare them. Do you have a different number of members in each group? No problem! We'll give you the group's average points so you can track it throughout the Tournament. The price to continue using the service is based on the number of bracket entries in your pool. The following price tier structure is your one-time fee for the entire NCAA tournament! 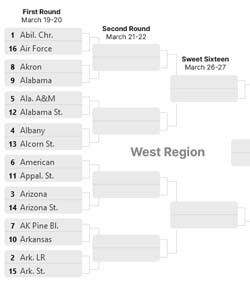 NCAA tournament pools are great promotional opportunities for your business. Whether targeting prospective clients, retaining existing clients, or just running an office pool, we now offer a way for you to enforce your company brand. It's ABSOLUTELY FREE to add your company or organization logo to customize the look of your Survivor pool. For more information, see our Brand Your Pool page. 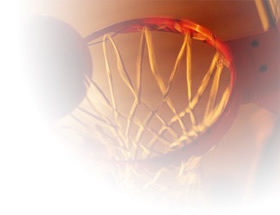 Start your March Madness NCAA Bracket pool with us today. If you have any additional questions, please contact us via e-mail. We're happy to answer any questions you may have.